With the uprising Virtual Reality (VR) technology and the blooming VR headsets, people are in great need of searching VR supported video online. The guide below will tell you how to convert VR video for specific VR devices on Windows system. 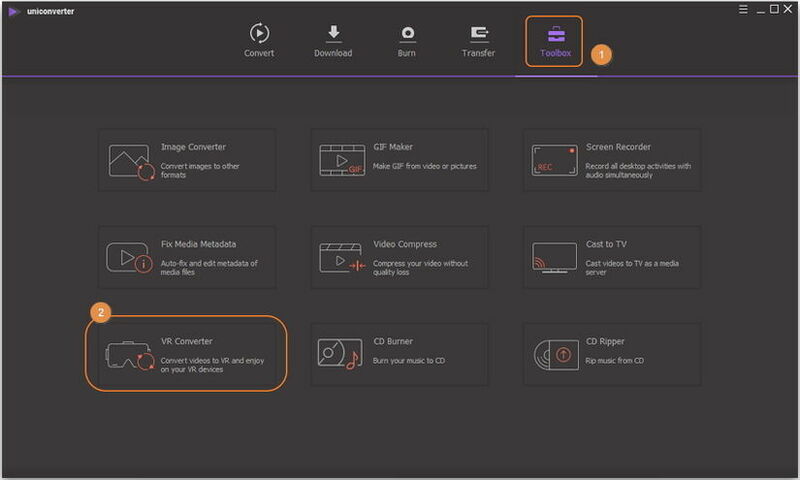 Launch Wondershare UniConverter (originally Wondershare Video Converter Ultimate) after installation, then go to Toolbox section and click VR Converter under Media Tools category. 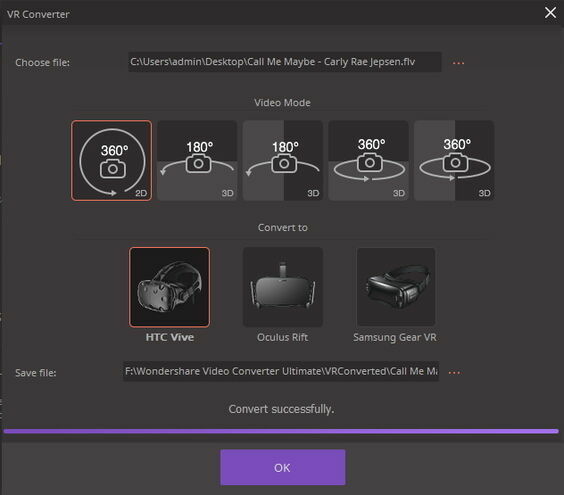 Click … to choose the video file that you want to convert to VR from your local computer, then select video mode and your VR device in turn. After that, specify the save path for the converted VR videos as you like. Note: There’re 5 video modes for your selection, including 2D 360 degree, 3D 180 degree top, 3D 180 degree bottom, 3D 360 degree top and 3D 360 degree bottom. 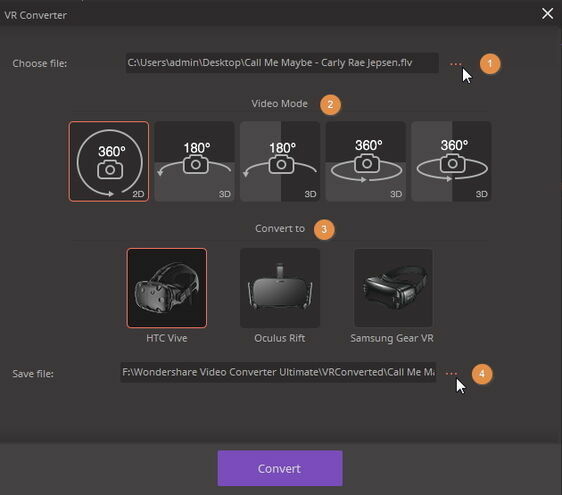 And currently VR converter supports HTC Vive, Samsung Gear VR and Oculus Rift. 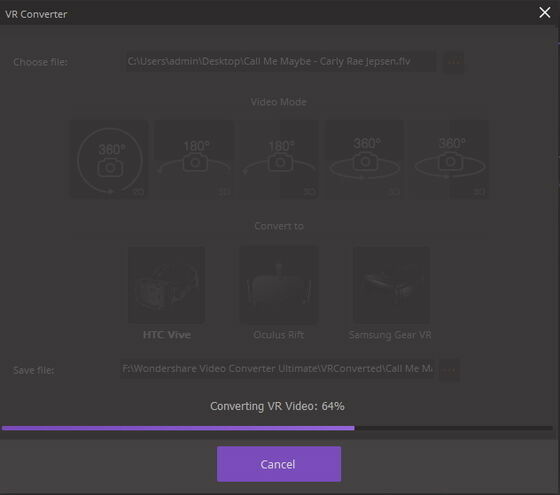 Click Convert to start converting videos to VR, you can clearly see the progress bar. And click Cancel would cancel converting. After converting, you’ll receive Convert Successfully. Click OK to confirm and now you can go to the file folder (specified in Step 2) to enjoy VR video with your device.